This plant has been designed for efficient production of tanks and apparatus. The Krah Solid one line is designed to produce tanks from DN/ID 1000 mm up to DN/ID 5000 mm with a maximum length of 7 meter made out different grades of polyethylene or polypropylene. The range of wall thickness is from 5 mm up to 250 mm. 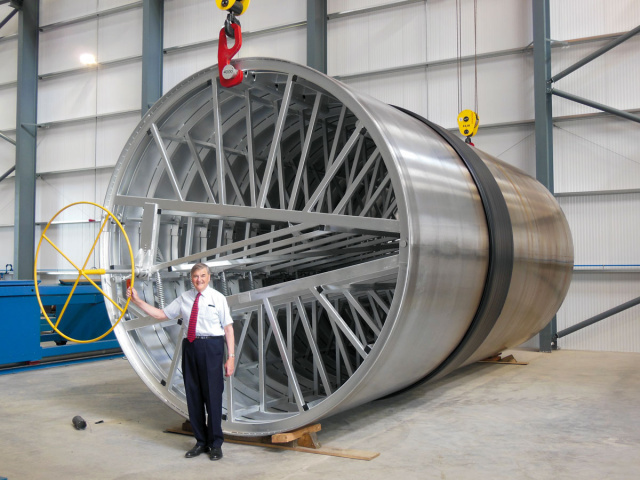 The machine can be equipped with an upgrade to produce a special double wall for leakage control. The complete space for the production is 20m x 20m with a building height of approximately 7m (depending on the largest tank). All parts are made for heavy duty application. The heating system gas and IR) is completely controlled by using an IR-Camera, with a 10” heating image, to secure a good and stable connection between the different layers or materials. With this extruder combination it is also possible to add some other materials between the layers like a glass fiber mesh. 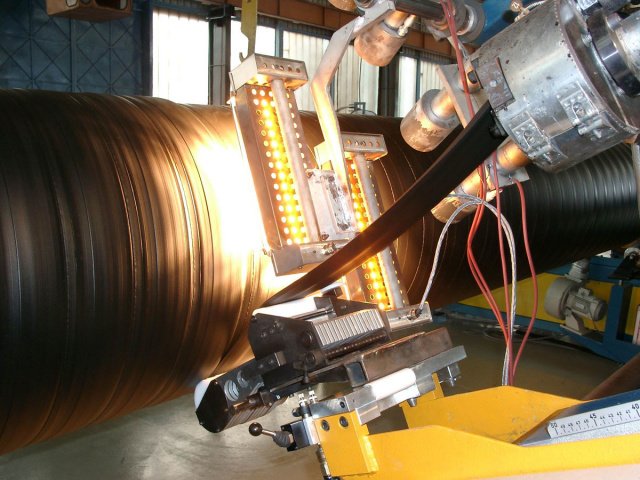 Here you will find a list of technical data for high performance plastic pipe production technology.